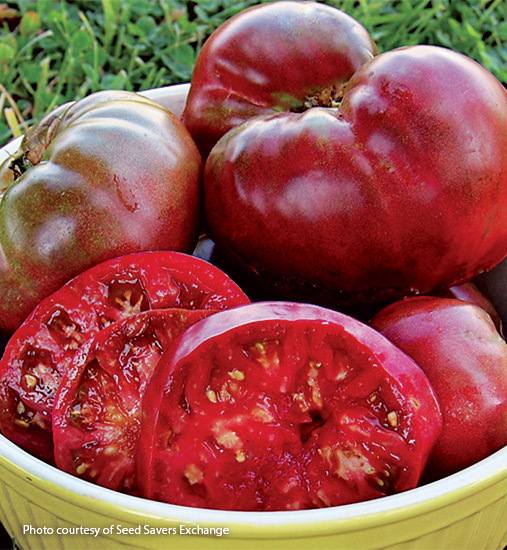 Looking for heirloom varieties to try in your garden? These 4 easy to grow heirloom vegetables are a great place to start. The best part of growing heirloom seeds is sharing them with others. 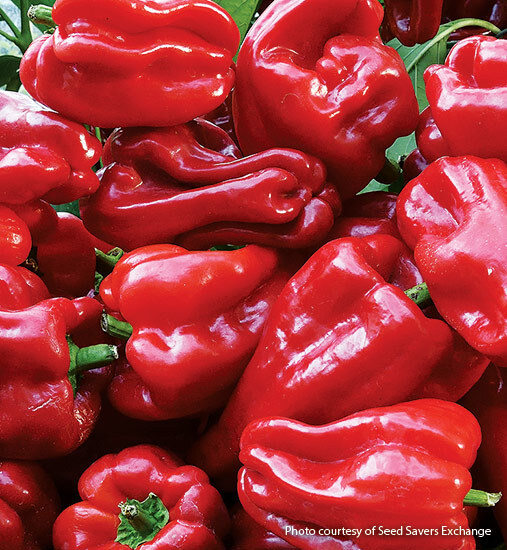 For Grandma Ausilio Riccelli, her treasure was a red pepper grown by her mother and passed on to her children and grandchildren. Even though the pepper is delicious and versatile, she grew this vegetable because it was her heritage. Heirloom plants are rooted in gardeners who valued what they grew so much that they preserved the seeds and passed them on to be grown, harvested and regrown for many years. 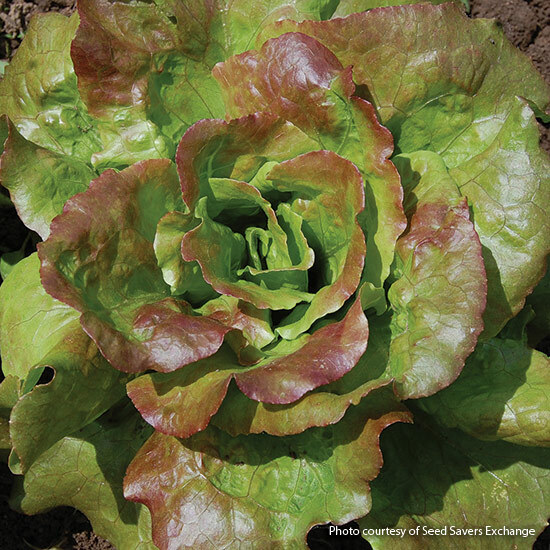 To connect with a community of heirloom gardeners, look for a local seed-saving group or join Seed Savers Exchange. Swap seeds, growing tips, and, of course, stories! Check out 4 great plants to get a heirloom garden started below. This snow pea dates back to the 1890s, when it was featured in seed catalogs, such as D.M. Ferry and Co. It is short in stature, spreading to only 24 to 30 in., and perfect for small gardens or even containers. It’s also quick to ripen and easy to eat straight off the vine. Space this pea 10 to 20 ft. from another pea variety. Harvest seeds for next year when the pods are brown and dried and seeds are hardened. They will last for 3 to 4 years. 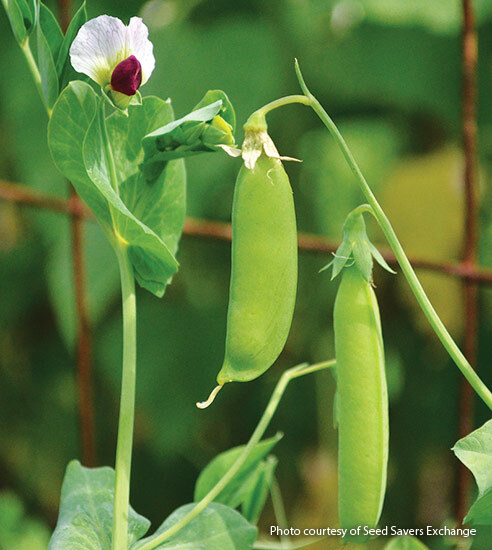 Peas can be planted outdoors as long as the soil is above 50 degrees F. Plant in full sun, well-drained soil and with a structure for them to climb. This delicious lettuce is perfect for beginning gardeners: It’s obvious when the seeds are ready to harvest: The flowers become feathery like a dandelion head. Pluck the seeds by grabbing the “feathers,” or pappuses, with your fingers and pulling gently. Or, bend the whole stalk and shake into a bag. Separate pappuses from seeds before storing in a cool, dry place where they can remain for up to 6 years. Plant 10 to 20 ft. from other varieties. Lettuce likes cooler weather, so you can start seeds early and plant seedlings outdoors even when soil is 45 degrees F. Water minimally when plants are flowering for better seed quality. This pepper wins the affection of everyone who grows and tastes it. 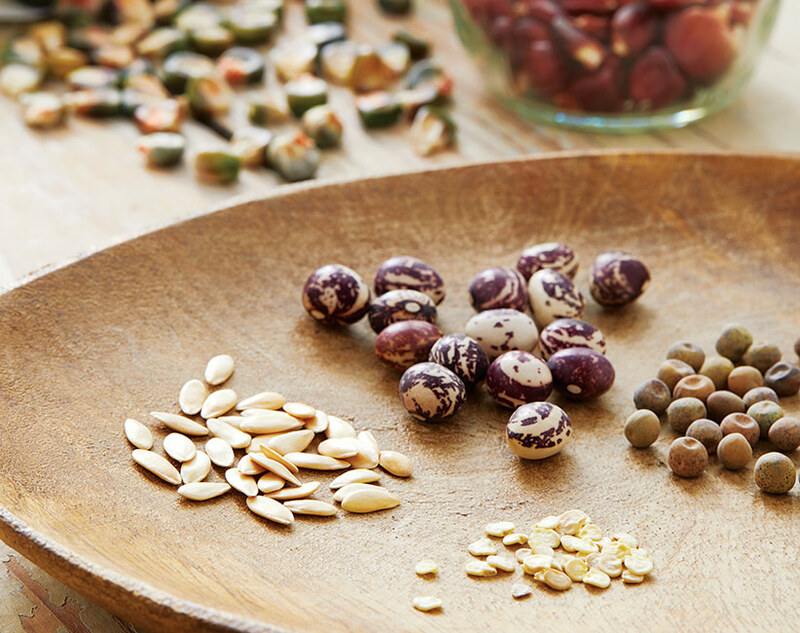 The seeds were grown by four generations before being shared with Seed Savers. This pepper brings the perfect amount of heat — medium to high. Store seeds in a cool, dry place for up to 3 years. To breed true, peppers need to be spaced at least 300 ft. apart, so you may want to just grow one variety at a time, or use the isolation bag technique explained with the melon at right. Seeds are ready to harvest when the pepper walls become soft. Plant indoors at least 6 weeks before hardening plants off and planting outside in soil warmer than 70 degrees F.
Originally from Krim, Russia, this plant was grown by Lars Olov Rosenstrom of Sweden, and he passed it on to Seed Savers in Iowa. You can see in the photo this tomato’s purple hue. When given enough sunlight, it will progress to violet or even black. This tomato has a hearty, low-acid flavor. Plant this tomato 10 to 50 ft. from another variety of tomato. To save tomato seeds, squeeze seeds from ripened fruit into a jar to ferment. Store dried seeds for 5 to 10 years. Start seeds indoors 6 weeks before your average last frost date. When soil is at least 55 degrees F, harden seedlings off outdoors before planting them in the ground. Learn how to grow strawberries (June-bearing, ever-bearing, and day neutral). We'll show you how to plant, mulch, water and renovate a strawberry garden.